The "Friends of MSC Parents Association" works to provide parents with an active voice at The Manhattan School for Children. We offer support to the school, both through fostering volunteerism and fundraising. By encouraging parents to contribute their time, talent, and treasure, we further enrich the programs and community at MSC. Once a month, the PA holds an open meeting. These meetings are public to everyone with a child attending MSC, and they are an excellent way to find out what's happening and how to get involved at our school. 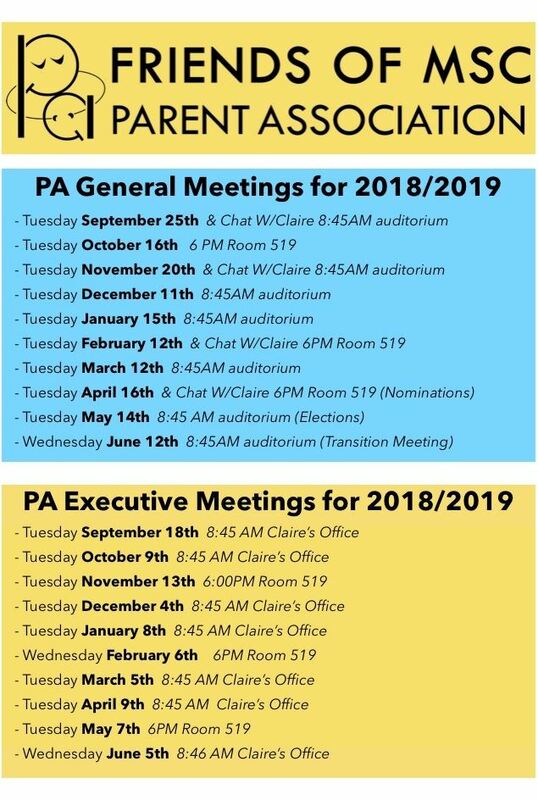 In addition to providing updates on all activities and programs each month, these meetings offer the opportunity to ask questions, share thoughts, and provide feedback. The Friends of MSC PA Executive Board meets monthly to conduct school business, discuss projects with the administration, and review any standing committee projects. Attendance is open to all parents, but please email matters to be discussed in advance to msc.copres@gmail.com. © 2018-19 Alumni Association. All Rights Reserved.